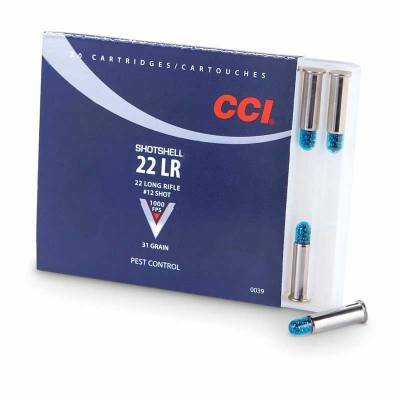 CCI 0039 .22LR Shotshell Ammunition. Low noise rounds for training or varmint control. 20 Rounds.